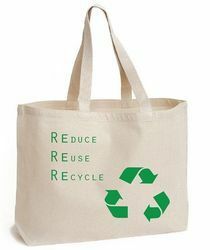 As per the needs and requirements of our clients, we are involved in providing Eco-Friendly Bag. Usage/Application: Shopping bags,Handbags,Produce reusable bags,Sports bags,Lunch bags and backpacks. We deal with range of ecofriendly Travel Bags / Back Packs / Hiking and Trekking Bags and customised based on the requirements. Perfectly suits to all kinds of travelling and also comes in water proof canvas range. We deal in Pan india level and you can buy Online india in the below link. we undertake bulk orders. are committed to supporting the on-going efforts of maintaining an environmentally conscious office environment. We have a wide selection of high end eco-friendly products such as totes and bags that are made out of eco-friendly and organic materials.